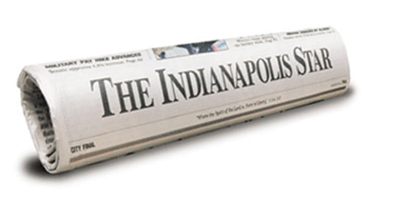 Readers here have probably noticed that I’ve been writing political commentary regularly for the Indianapolis Star. I am happy to report that I have now joined the staff as a columnist. My column will appear once every two weeks. I’ll be writing tough essays on politics with a spirit of aggression. I’ll post all articles here. Stay tuned. This entry was posted in David Masciotra, Politics and tagged Columnist, David Masciotra, Indianapolis Star, Politics by davidmasciotra. Bookmark the permalink.